Russia, which entered the championship after a series of not inspirational results, did not seem to be a serious threat. But for the first two matches she scored 8 and missed 1 ball, making Salah his most titled victim. " Russia behaved cheerfully. A good mood was in the air of the stadium. Their coach Stanislav Cherchesov said that he originally planned to bring Salah to zero. Obviously, the plan was to dominate, attack with a large number, control the ball, beat at any convenient opportunity and throw the ball into the goal along a high trajectory. " Whence at a command such ability to run, it is necessary to guess only. 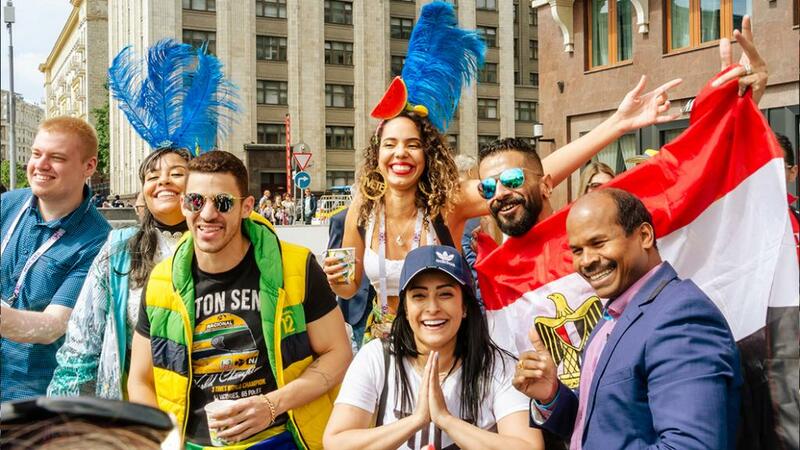 Perhaps this is the magic elixir of feeling like the owner of the largest football tournament in the world, as well as the charge of energy from the support of fans, among them Deputy Prime Minister Vitaly Mutko. With which it's hard to argue, it's because the Russian team runs a lot, has a hard pressure and is rapidly counter-attacking. This tactic has proved to be extremely effective. " Journalists appreciated the decision of the coaching staff to bring many young people to the team. Cheryshev and other young players of the national team are expected to have the brightest future and put them on a par with Cristiano Ronaldo, who, according to several observers at once, can push the younger generation of our team. Admired also by Russian fans who provide the highest level of support for the national team in the stands. Recognition by the British is expensive, given that for decades it is the natives of the Foggy Albion are considered the trendsetters in how to properly support their team. A man who is well acquainted with the internal Russian agenda, it is sometimes quite amusing to read the opuses of Western journalists about how things are in the country. So, Moscow is called "heart" as a more sensible city, and St. Petersburg - "head" as more judicious and practical, apparently due to the northern location. Speaking generally, there is some confusion in the general information space of the West. Everything turned out not as planned: Russia is strong and self-sufficient, its citizens are open and pleasant, and even the national team is one of the best in the championship. In any case, for now.